Accessories for flashlights RetLight™. 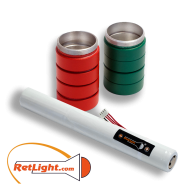 Batteries of various types and capacities, chargers, accessories, power supplies, cases, mounts. You can also contact us with any question regarding product you are interested in by writing your request in the feedback form.